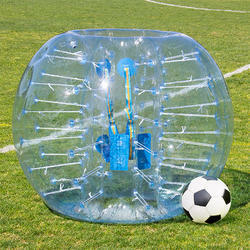 We manufacture inflatable water ball also known as walking water ball using TZIP. Rolling up and down or walking inside the transparent ball shaped space of unknown seems exciting! That’s the fun more than scary that you feel inside a Zorb ball. Accessories: Blower, Bag, Repairing Kit, Carry Bag and Accessories Bag. 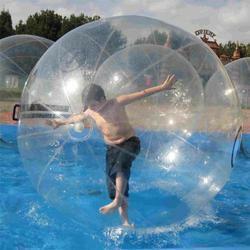 Having years of domain experience, we bring forth high quality Zorbing Water Balls for customers. All these products are widely demanded at schools as these are available in various designs and sizes. These products are stringently checked by expert quality controllers on different parameters to ensure flawlessness. We are leading names in the industry, we offer an exceptional array of Water Walker Ball that are light in weight and can be easily lifted from one end to another. Our entire product range makes the water activities filled with fun and zeal. Water Walker Ball comes in budgetary limits.